The 17th Century Villa Locatelli is the home of the Tenuta di Angoris. It's a Villa where grace and elegance meet hospitality and warmth, and it currently welcomes guests for tours and special events. Its illustrious 370-year history includes an era when the wines that came from the estate were served in the royal courts of Europe. 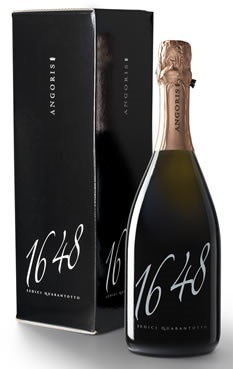 1648 commemorates the founding of Villa Locatelli and offers a toast to Angoris and its long history. Grape Variety: 100% Pinot Noir in its most prestigious form. Tasting Notes: The colour is onion-skin copper with fine and persistent perlage. On the nose, delicate raspberry and strawberry aromas mingle with floral, mineral, and yeast notes. On the palate, it is soft, fresh, creamy, balanced, and persistent. Food Pairing: Can compliment many foods; try it with grilled fish, margherita pizza, cold salmon dishes, trout. 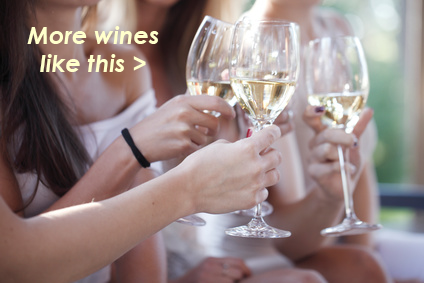 Serving temperature: 8 to 10 °C (or up to 12 °C because it is a single-vintage wine).